Affordable foils and laminates that add tactile engagement to business cards, direct mail, brochures and other personalized materials. If you can engage more than one sense when delivering a message, you can exponentially increase the likelihood that your message will be remembered. 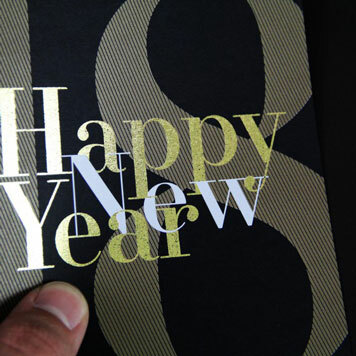 Print engages multiple senses, and using high-impact finishes like custom foil stamping is a terrific way to do it. Our high-impact foils and laminates add tactile engagement to help your branded materials stand out. From shiny gold foil, to leather laminate, to soft-touch film, we have a variety of options available for you. Our custom foil stamping is performed digitally, which means it does not require a die. Digital application also lets us apply foils variably, so you can personalize every piece for your audience. The foils we have available are great for projects like foil business cards and foil postcards. Our custom foil stamping can be done on coated and matte papers, as well as on some of our laminates. Our laminates can be used to create different tactile feels or to provide traditional laminate benefits like protection and gloss. 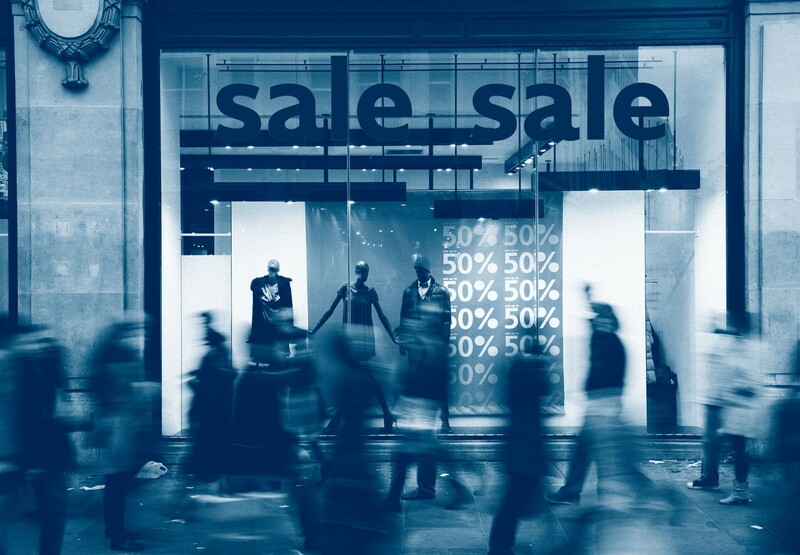 If you truly want to engage your target audience, use one of our specialty laminates. Our standard laminates include gloss and matte options in various thicknesses, with most being glueable and stampable. If you are looking for a way to make your print materials stand out, call (856) 787-1877 for more information on our high-impact finishing. A holiday card with silver foil and soft touch laminate. 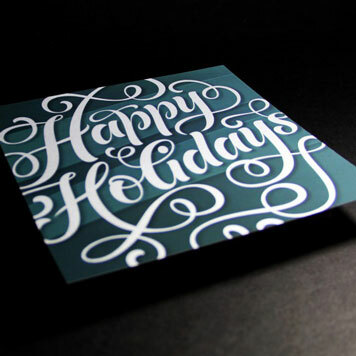 A beautiful black holiday card featuring gold foil and white ink. 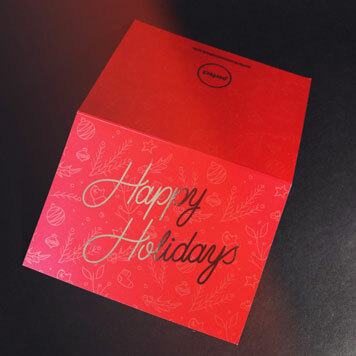 A striking red holiday card featuring some of our high-impact finishing techniques.